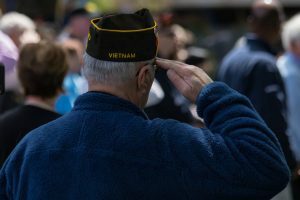 Millions of veterans are entitled to benefits when they suffer from service-related disabilities, but many forgo their rights due to confusion about the relevant laws. At the Comerford Law Office, LLC, our VA-accredited lawyers are dedicated to providing solid legal help for those who serve our country. Please contact our firm to schedule a free consultation with a Munster Veterans’ attorney, and read on for some important information about your claim for benefits. When you have served your country and are suffering from a disability, there should be nothing standing in the way of receiving the benefits you have earned. 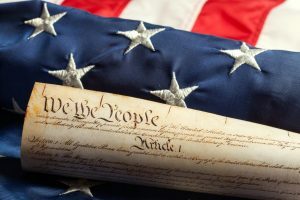 The Veterans Benefits Administration does not intentionally obstruct your efforts, but there are aspects of the claim filing process that can present challenges. You must be a veteran with an existing medical condition to be eligible for benefits, but other requirements are not as straightforward. It is also necessary to prove that you were injured or became ill while on active duty, and you must establish that these conditions were related to your service. The fact that a medical issue was aggravated during service is insufficient. The amount of benefits you may obtain is related to your disability, which is calculated on a percentage basis. Other factors that impact your payments include the number of dependents you support. Filing a claim for disability benefits is a challenging process, which may be further complicated when you are appealing a denial and filing a Form 9. There are thousands of pages of regulations and laws governing these claims, and the language can be complex. An experienced VA benefits lawyer has a firm grasp on the legal concepts, preventing mistakes that can lead to delays or denials. Our attorneys at the Comerford Law Office, LLC can also assist with gathering the essential medical records and supporting documentation, and will ensure that your claim complies with the relevant time deadlines. VA benefits attorneys typically charge on a contingency fee basis, which means you only pay for legal services if your lawyer obtains a favorable outcome. The charge is on a percentage basis, usually between 20 and 33%. This amount comes out of the benefits you recover through the claims and/or appeals process. You must have a written contract for the contingency fee agreement, which our attorneys will handle for you. When you do receive back payments, the VA subtracts legal fees and pays the remainder of your benefits to you in a lump sum. If you have questions or would like to speak with an experienced VA benefits lawyer, please call 312.863.8572 to reach the Comerford Law Office, LLC. Our legal team can set up a free consultation with Attorney James Comerford. As a member of the National Organization of Veterans Advocates (NOVA), Mr. Comerford has the in-depth knowledge necessary to protect your interests and he is committed to assisting disabled veterans in seeking their rightful benefits.